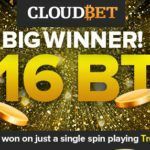 Playing roulette with bitcoin is a lot of fun and winning some big money makes it even better. To really get the best experience possible there are three simple tips that have been tried and proven numerous times to be highly effective. While you are always free to simply play and hope for the best, it is generally not a wise idea and can result in you losing large amounts of bitcoins. In order to minimize your risks, follow these simple suggestions. Tip 1: Never play on a wheel that has double zeros. This increases the houses odds against you and makes it much harder to actually win. A wheel with only a single zero is typically called the European Wheel and it should be your goal to find a single zero wheel. When you have a single zero you are increasing your odds of winning enough that it is well worth the effort to find it. 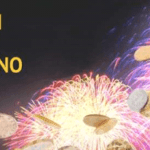 Not looking for a single zero wheel means you are going to be relying on luck as well as a guardian angel to help you really win large amounts of Bitcoins. 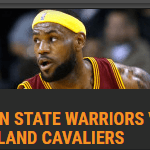 Tip 2: Always bet on those odds that are even. This means bet on red or black, or perhaps choose even or odd. If you are betting in this manner then you are looking at a 50/50 chance of being correct and it is a much better position to be than narrowing the bet down to a specific number. Choosing a ball to land on a specific color and number is even worse. You are simply throwing your bitcoins away and hoping that your guardian angel is working overtime. Help you help yourself by selecting a bet that is actually winnable. People who play Roulette tend to think that there are all kinds of secret strategies that can help them increase their profits. However, the harsh reality is there is very little that you can do to really help inflate your bitcoin winnings. In order to really make some money you need to accept that there is very little you can do, but at the same time carefully follow the tips and guidelines that can help you increase your potential winnings. The roulette wheel is a very tricky place. Putting too much time, effort, or requirement into earning a profit can be a very dangerous position and chasing your losses can be even more dangerous. However, there are two special secrets that can help you even things out a bit so that you can improve your overall winnings. First is the idea that you should find a wheel that has a single zero so that you can play all of your bets “en prison.” This means that in the event that the ball lands on zero you do not lose your bet. Rather your bet is locked into place, and you have another turn. This can be a huge saver if you have had the misfortune luck of landing on several zeros, which has caused you to lose your money. Choosing to play your bet “en prison” has different rules and guidelines depending on the casino where you are playing, but it is a wise idea to play this way whenever possible. The second tip is not so much a strategy lesson but helping you let go of a potential strategy. While many people who are gambling with bitcoin tend to keep detailed records of their plays so that they can try to find a pattern there is no need to do this with roulette. No matter what the mathematicians of the world may tell you, studying piles of statistics about roulette will not give you an edge over the house. You will however likely come away with a headache, but you are not going to increase your winnings this way. Instead, it is important that you accept that roulette is entirely a game of chance, and you cannot change the results by studying previous results. This means it is time to instead focus your efforts on betting with bitcoin responsibly, and looking to always use “en prison” bets whenever possible to help further protect yourself. One such way you can compare roulette is to flipping a coin. You simply cannot tell how the coin is going to land, and similarly you cannot tell how the ball is going to land. Attempting to do so based upon previous statistics will result in you becoming very frustrated and anxious to chase your losses. As you can see, these are the tips that most people simply will not tell you. The house especially is not going to voluntarily give you this information and in fact, they hope that you do not know it. If you are too busy wrapped up in statistics then you have less time to focus on making responsible bets, this results in a greater profit to the house and makes them very happy. Keeping your head on straight and practicing responsible gambling is some of the best things you can do when you are playing roulette. 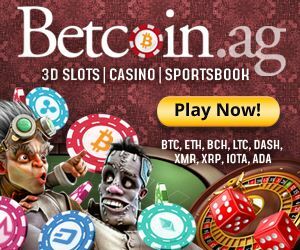 If you have never played the ancient game of roulette, Gamblingwithbitcoin.com is the place to earn your L plates. The game is built on pure luck as a spin of the wheel decides your fate. In Roulette, you decide where to place your bet and then the casino official will spin the wheel. Once the ball lands, you will know whether you have won or lost. 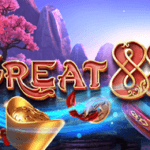 It gives you that sense of adventure that you don’t always gets with other bitcoin casino games.